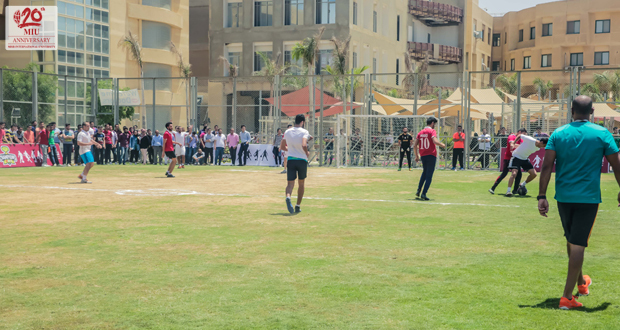 Misr International University believes that staying active and healthy is important for soul, body and mind. 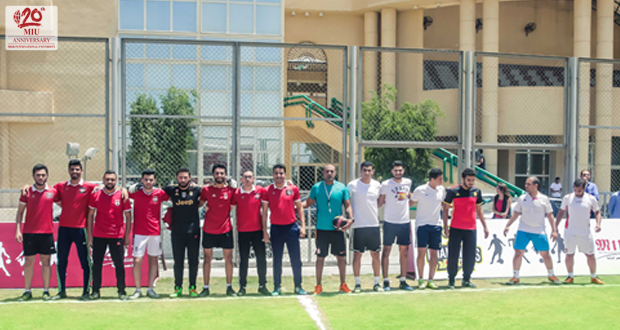 This year, MIU organized its annual football tournament to which Captain Khaled Bibo was invited. 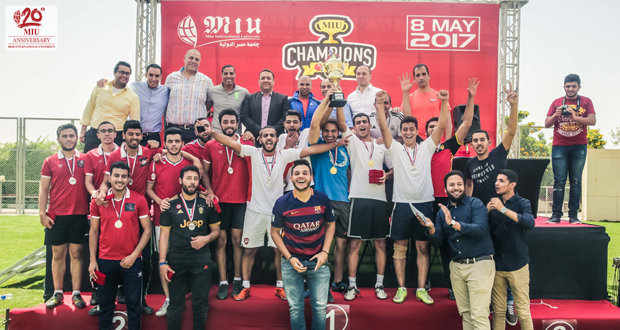 He awarded the winning team trophies and medals. 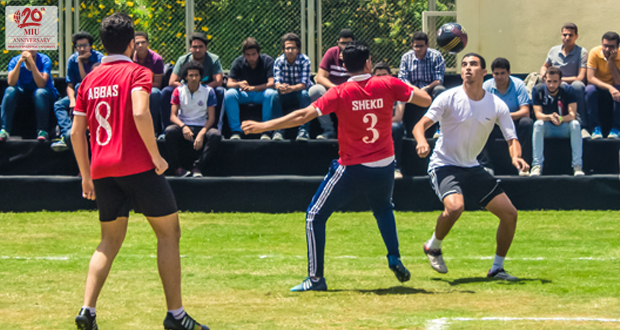 More than 200 students attended the match and cheered for their favorite teams.